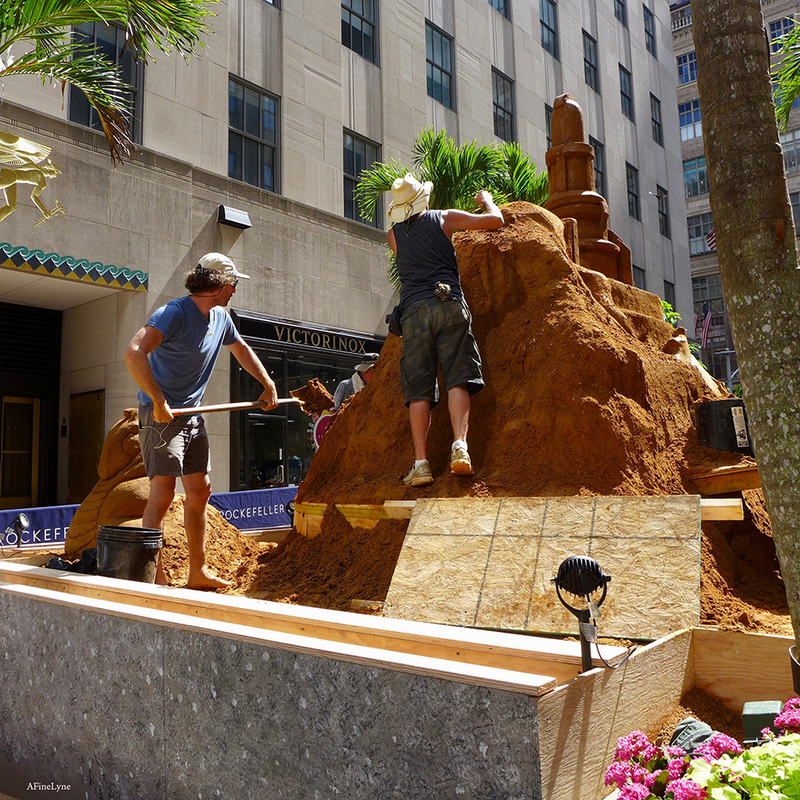 The installation entitled ‘Sand & Surf’ is currently being created by expert sand sculptor, Ted Siebert and team. 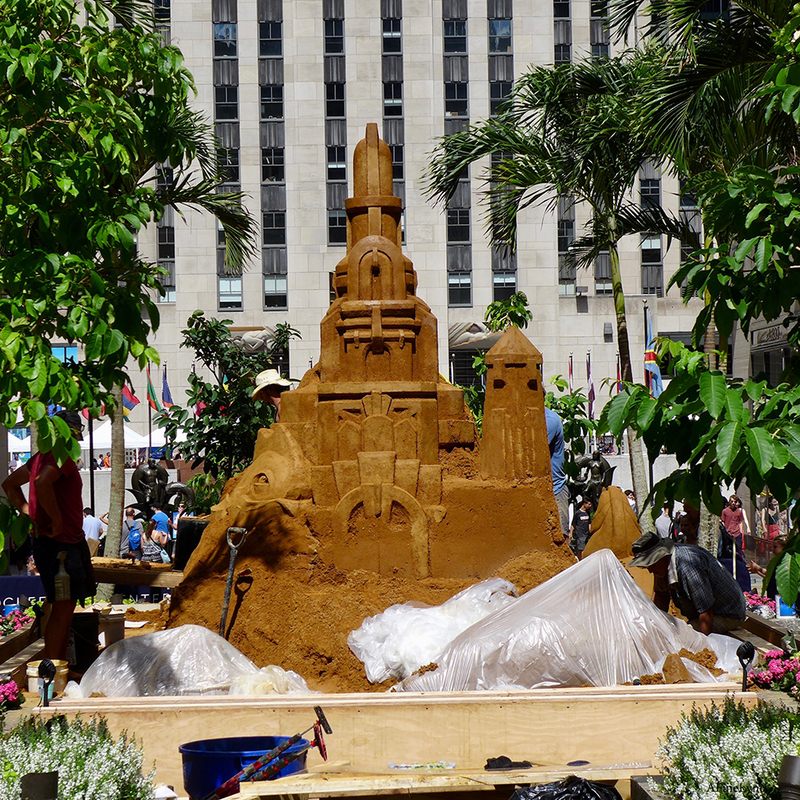 They are constructing a sixteen-foot sand castle, using over sixteen tons of sand. 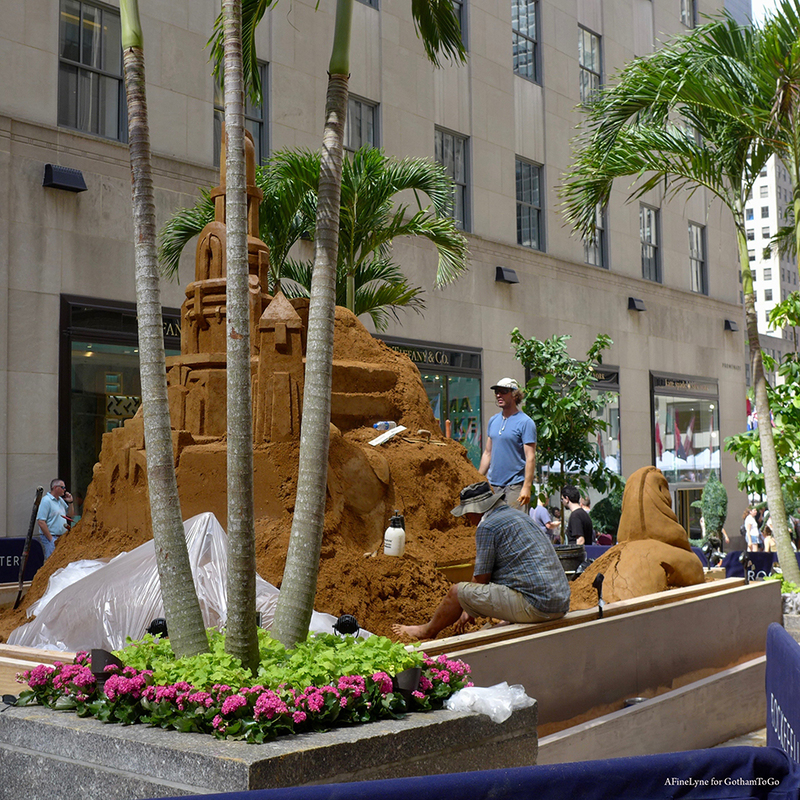 Trained as an artist, he has also taught sculpture at Savannah College of Art and Design, and sometimes sculpts in wood, clay, and is a fine art oil painter. 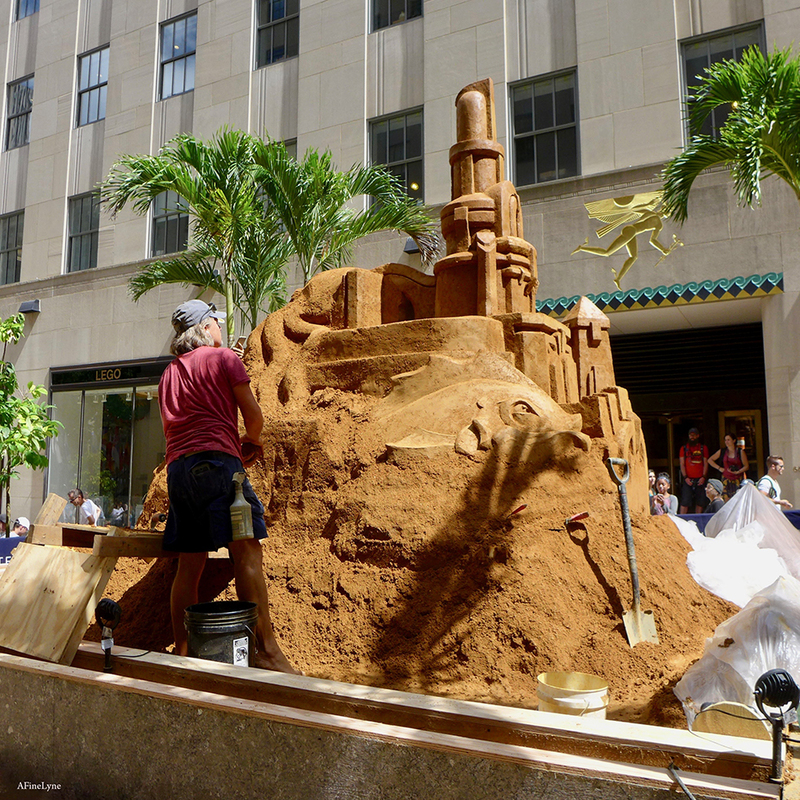 Ted Siebert began sculpting at competitions on the beaches of the Pacific Northwest. 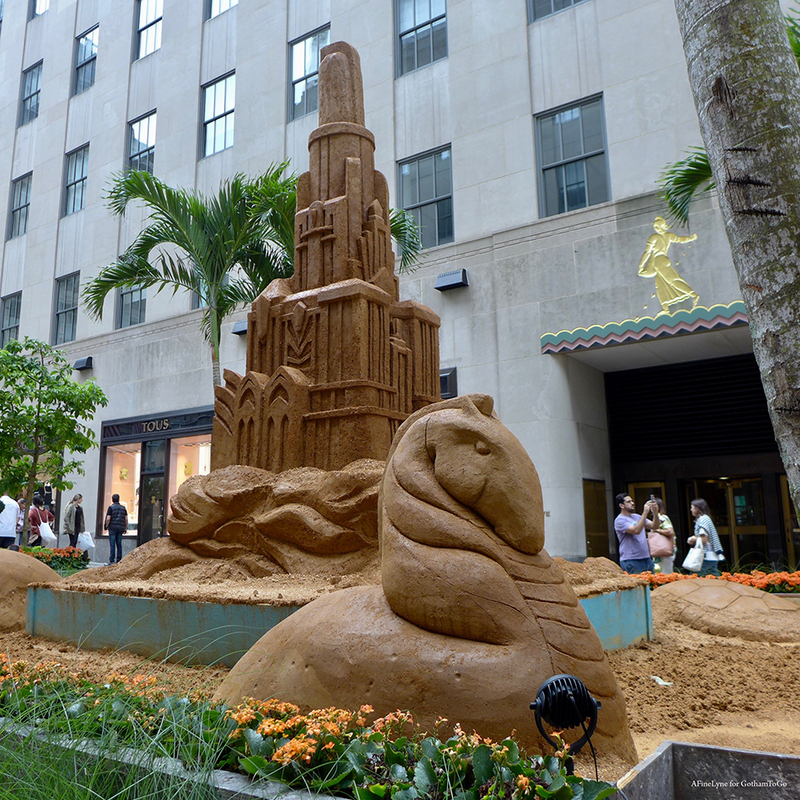 He is the owner of The Sand Sculpture Company, creating installations worldwide. 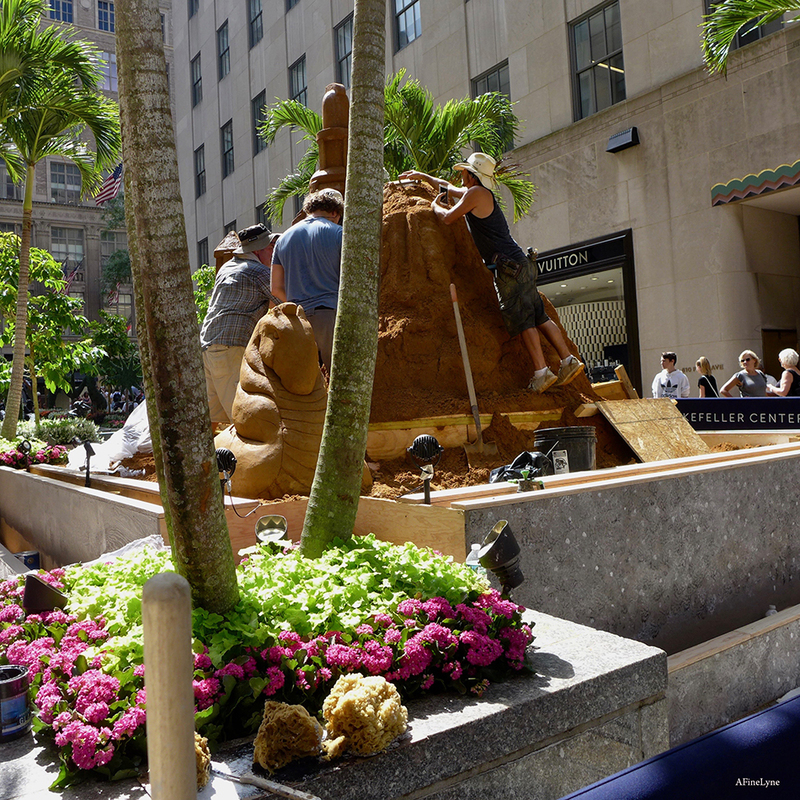 Below are a few more pictures we took during the creating phase, on August 3, 2018. 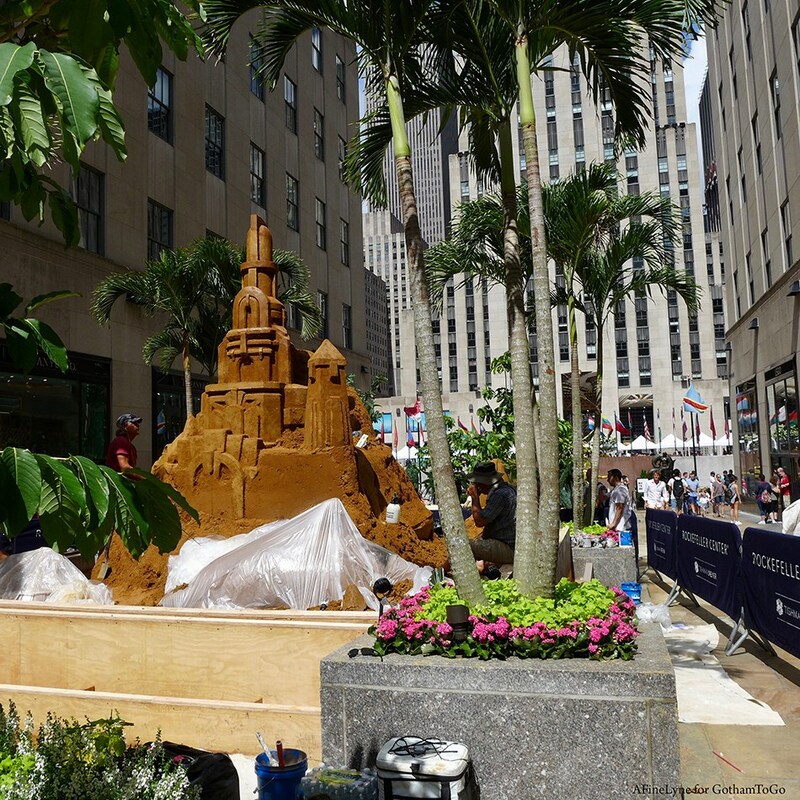 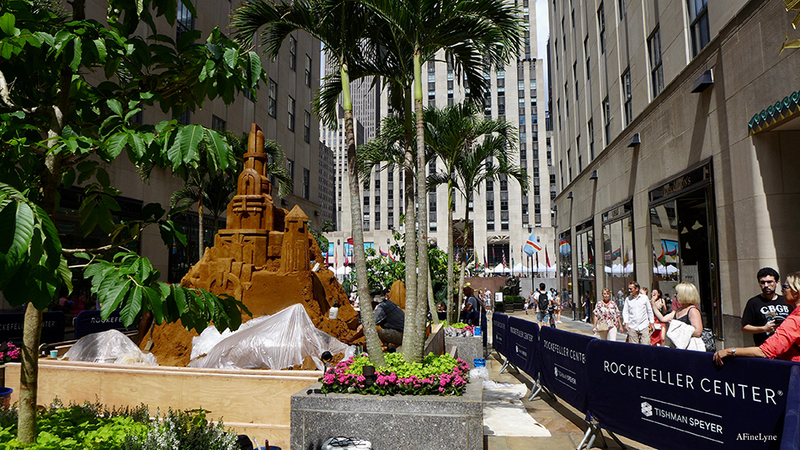 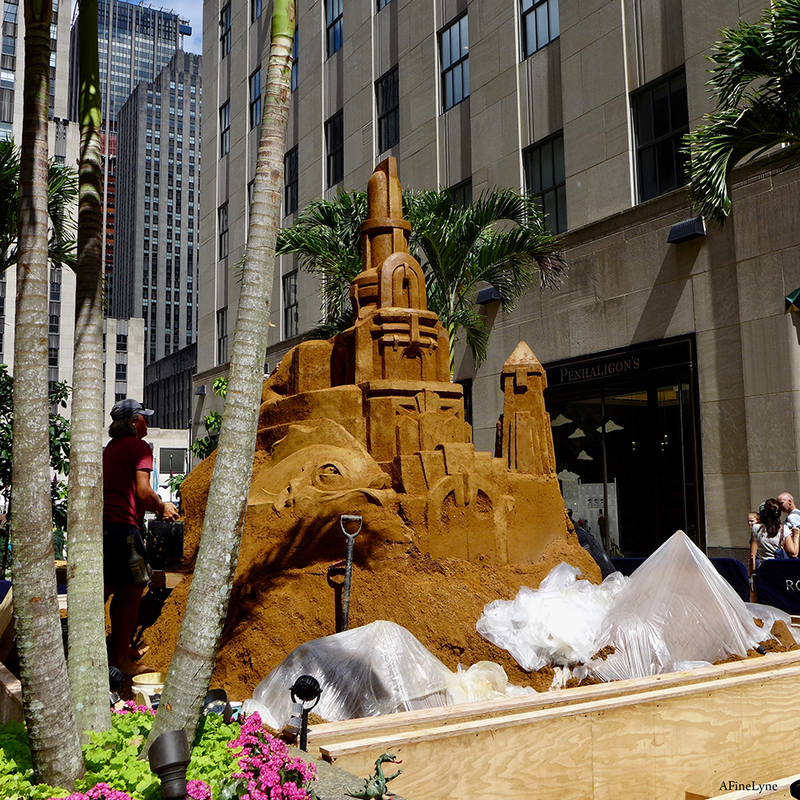 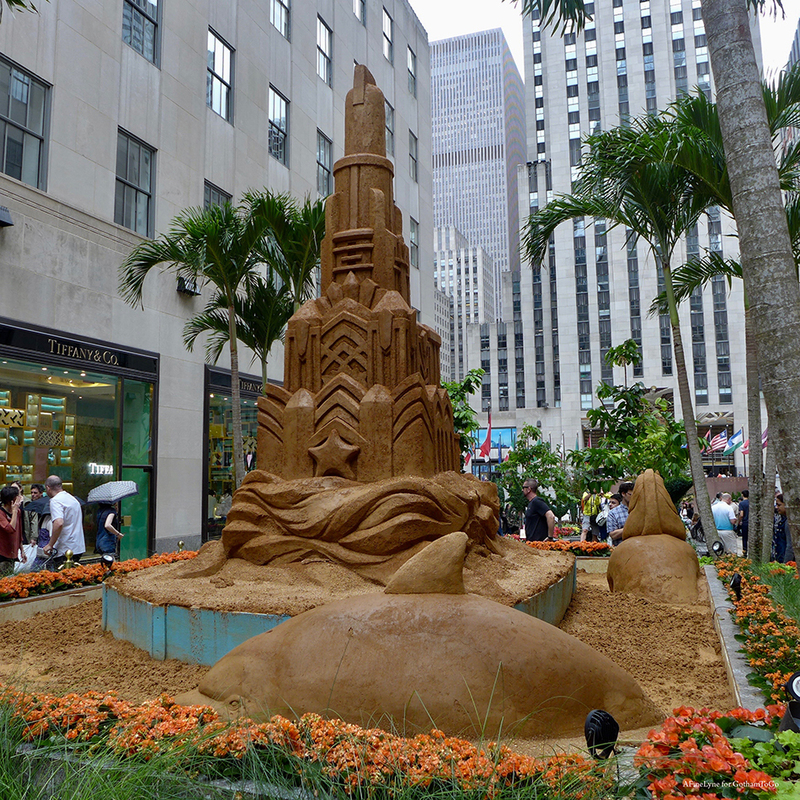 ‘Sand & Surf’ will be on view to September 7, 2018 in the Channel Gardens, located between 49th and 50th Streets on Fifth Avenue. 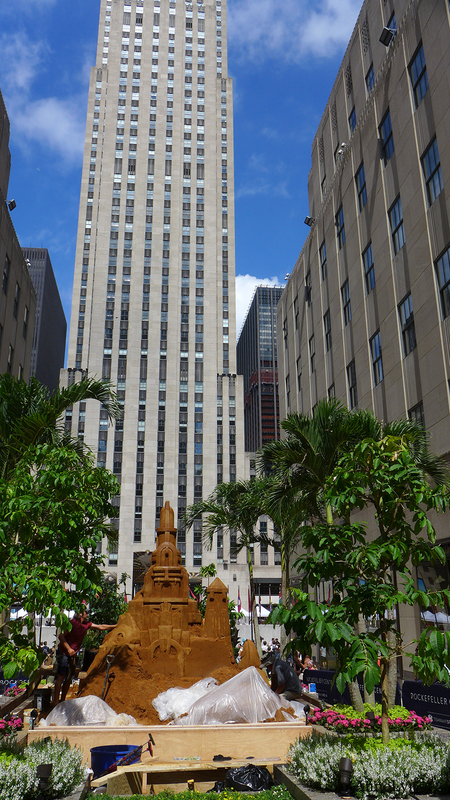 Next Next post: Celebrating Andy Warhol at 90!